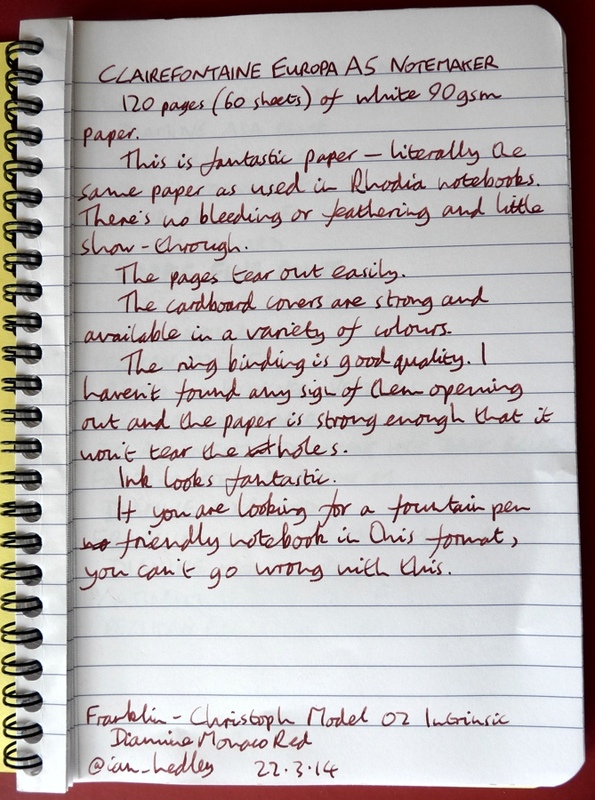 Clairefontaine Europa Notemaker notebook review – Pens! Paper! Pencils! 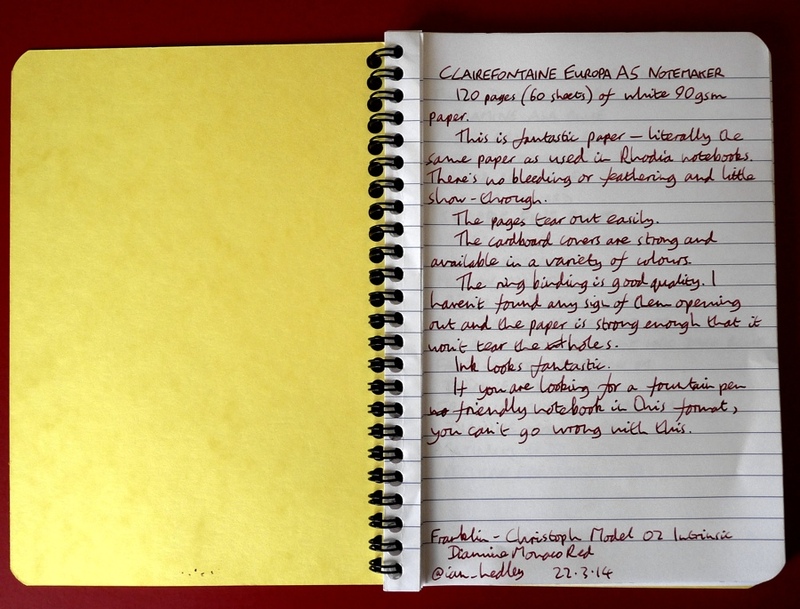 This is a review of the A5 lemon yellow version of the Clairefontaine Europa Notemaker. It’s also available in A4 size and in blue, pink, green and purple. There are 120 pages (60 sheets). The cardboard cover is stiff enough to make for comfortable writing if resting the notebook on your lap. Of course, being cardboard, it’s easy enough to write on if you want to label it. The ring binding is better than usual in that it hasn’t undone yet and the holes in the paper don’t easily tear out. I often find with these kinds of notebooks that all the paper starts falling out before too long. 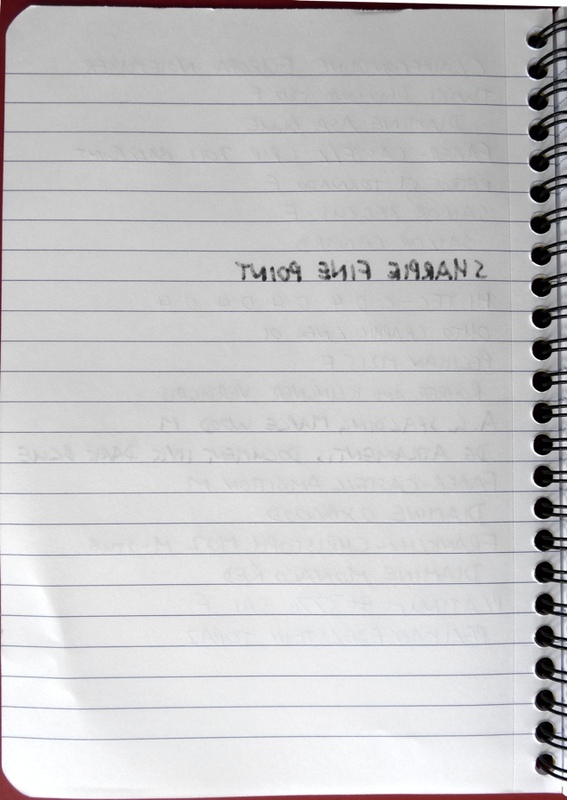 I can’t see that easily happening with this notebook. 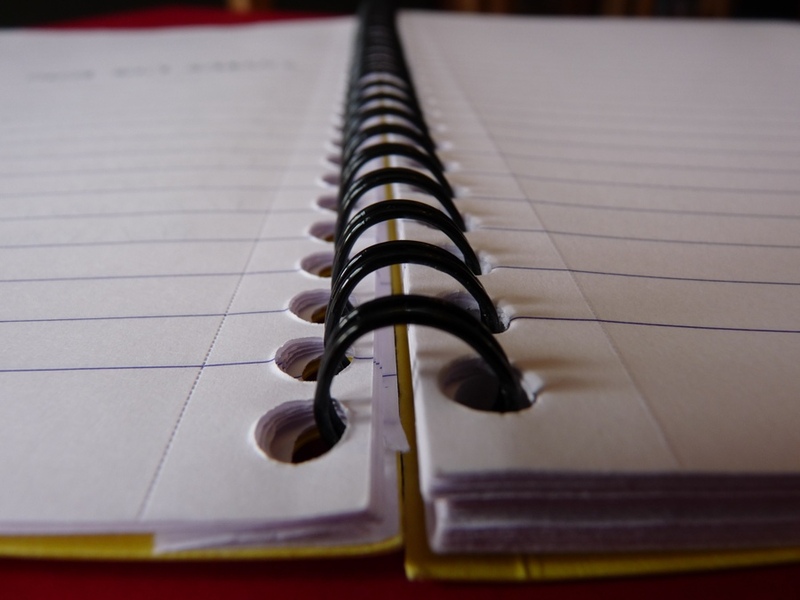 The micro perforations along the edge of the paper tear easily when you want them to. The paper is fantastic. Rhodia notepads use Clairefontaine paper. Need I say more? I will anyway. It’s 90gsm white lined paper. The lines may be a little dark for some. 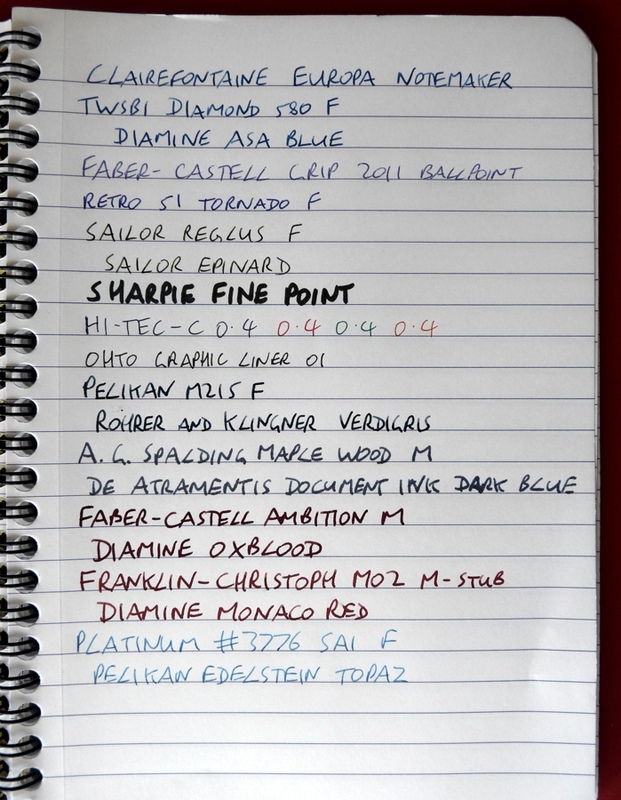 This paper loves fountain pens. Inks shine, there’s no feathering, no bleeding and hardly any show through. 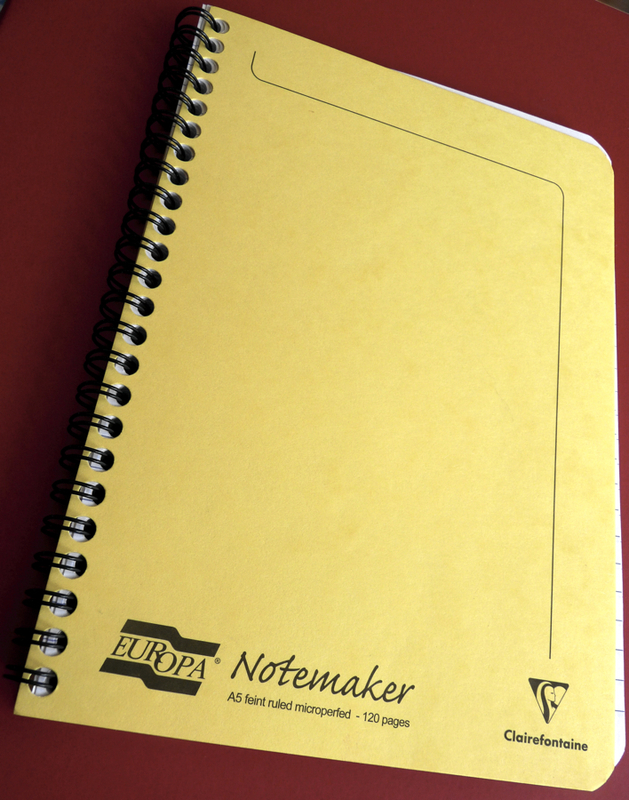 The Clairefontaine Europa Notemaker is a very functional notebook at a decent price with outstanding paper. This notebook was very kindly sent to me free of charge by Pure Pens. These are entirely my own views, nevertheless.